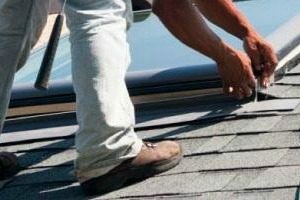 So you had some bad weather and sustained damage to your roof. You filed a claim with your insurance carrier and it was approved! The guy next door had his roof done for less than the insurance company allowed! His roof looks great, he must be a great negotiator, right? Well, maybe but more likely he unknowingly sacrificed some of the real difference makers that you can not see on the finished product. Even if it was inspected by the county that does not mean it was installed to the manufacturers specifications, and that is what they will look for when a warranty inspection is done. 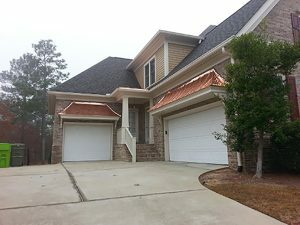 A high quality roof starts with a high quality roofing product. That does not necessarily mean expensive but it is a good idea to stick with one of the 4 Major manufacturers Owens Corning, Certainteed , GAF , and IKO. Avoid contractors that are brand specific as most times that is due to a rebate program and you may not get an unbiased opinion of all of the choices. Ask what type of felt or membrane product will be used. Ask if the valleys will have extra protection (not required by code in most cases but highly recommended). 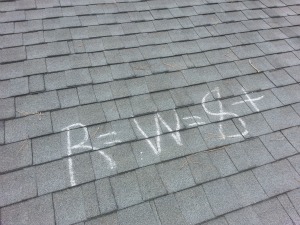 Is your roofer planning to use Ice and Water Shield in potentially problematic areas? These things will be the difference between needing a new roof in 20 years because it’s leaking and needing a new roof in 25 years because its just time!